This is one of the Tajweed Quran products that aims for better understanding of the Holy Quranic meanings and its miraculousness. Dual verses are two Aya in the same Quranic page between them there is integrated relationship in form and meaning. 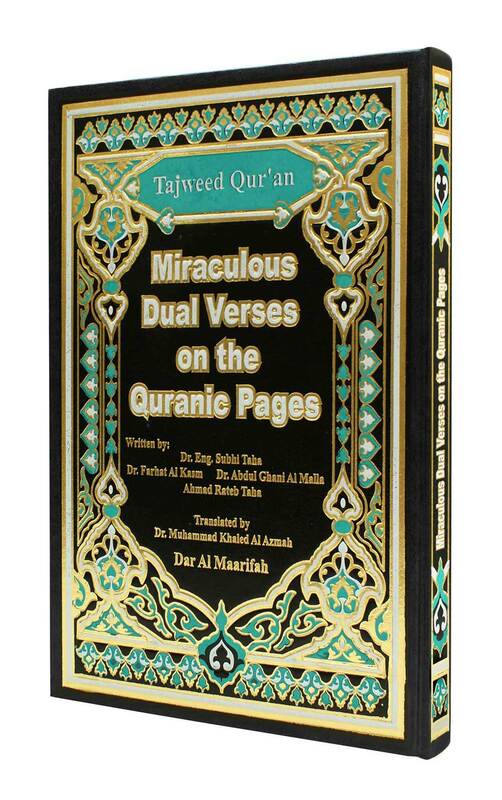 This product shows the full Quranic page, Highlights dual verses in each Quranic page by using colored background and explains the Miraclousness on the margin in English. I recommend to all this store. Very good products, I mean mostly beautifully decorated Korans that are perfect for learning to read. Thank you for that. Jazaka allahu khajran. Best a Quran for anyone seriously wanting to learn tajweed. Either in arabic or latin letters like english.